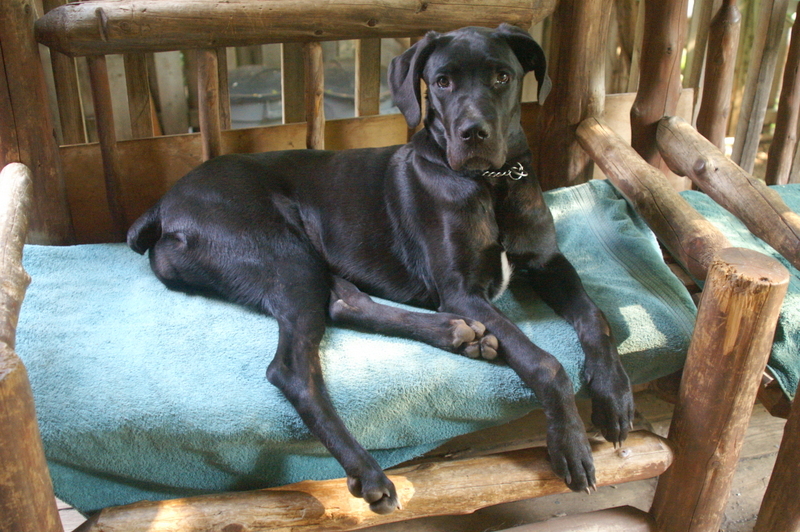 Up for adoption, Darya is a Great Dane / Mastiff cross. 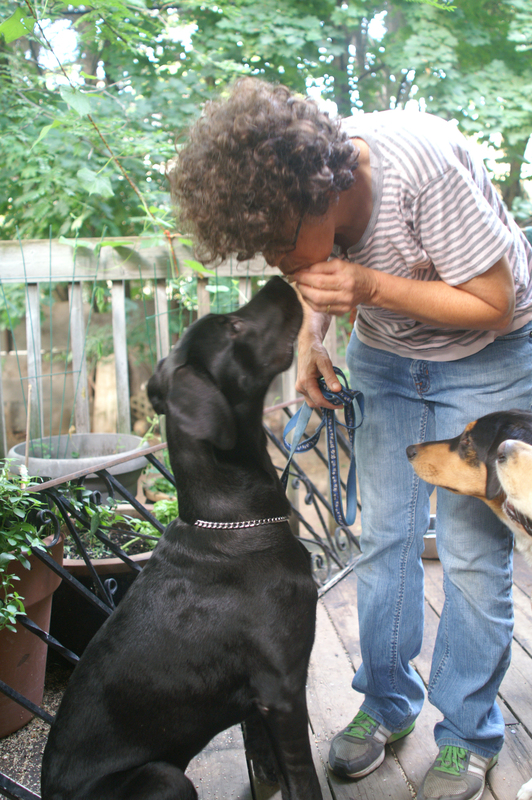 At just seven months Darya is well socialized with humans and plays well with other dogs. It’s a real pleasure to take her out. Her leash walking is very good. 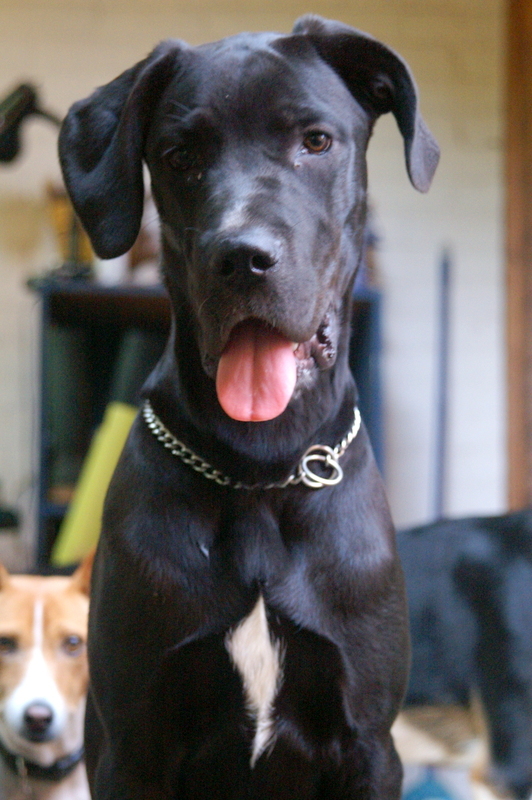 She weighs about sixty-five pounds and is still growing. She is spayed and is up to date with her immunizations. Still very much a puppy her training is ongoing. Darya is very tractable. Her “sit” is excellent. We’re working on “wait.” She does a great “leave it!” Darya is also crate trained. She’s affectionate, sweet and trusting. Surprisingly gentle for such a large dog she loves people and is a wonderful companion. Darya needs a home with a fenced yard and someone committed to several walks a day. If you think that you and Darya would be a good match please contact me. If you are interested in adopting this dog please send me an e-mail.